Cornish MP hopes to cut the “Bedroom Tax"
Next month a major change to the benefits system will come into force. Among those affected will be the 2 million people facing a 25% reduction in their housing benefit. 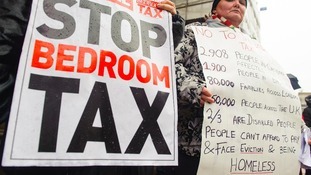 The so-called "bedroom tax" will hit people living in properties considered too large for them. Laura Makin-Isherwood met one man who says the changes could make his home unaffordable. Protest rallies are due to take place in Bristol and Bath this afternoon against new rules which leave people claiming housing benefits facing deductions for spare rooms. The so-called 'bedroom tax' will leave council tenants with £11 a week less if they're deemed to have one spare bedroom and £21 a week less if they have two. Bristol City Council says the rules will affect more than 4,700 households in the city. The rally in Bristol is due to take place on College Green at 1pm. In Bath it's outside The Guildhall at the same time. Protests are taking place in 60 towns and cities nationwide. There's growing concern amongst people living in social housing in the south west that the so-called bedroom tax will force them to leave their homes. 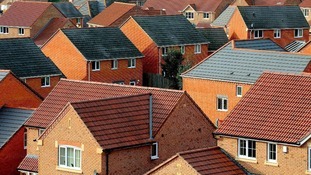 Under new welfare reforms, from April housing benefit will be cut for people living in houses with spare rooms. The aim is to free up space for people living in over crowded homes. But the rules have been condemned by some of those it's going to affect. Claire Manning reports. Bedroom Tax - how will it affect you?